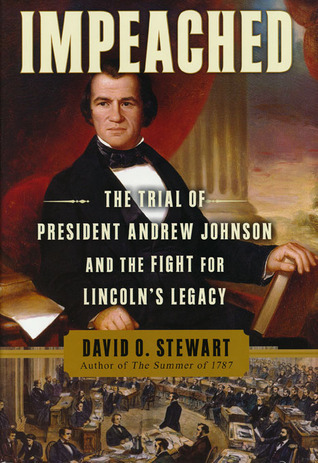 Stewart’s book is more a review of Johnson’s presidency and his impeachment than it is a comprehensive biography. Given its title, that fact is unsurprising. But what is somewhat unexpected (at least for me given my experience with texts focused on somewhat abstruse topics) is how interesting and coherent this book proves. Given its focus, Stewart’s book could easily have been mundane and tedious (my apologies to fans of the Reconstruction era). Instead, it is consistently lively, clear and engaging. Rather than approaching the complex issues associated with Johnson’s presidency from a dry academic perspective, Stewart’s book resembles the work of an extremely eloquent and thoughtful investigative journalist. Although Johnson’s impeachment is the overwhelming focus of his book, Stewart provides enough political, social, economic and cultural context to ensure a smooth, comprehensible experience for a reader of almost any background. He even paints a vivid portrait of the nation’s capital during Johnson’s presidency – right down to its appalling roads and lack of sanitary infrastructure. Early in the book Stewart sets the stage for the more detailed discussion of impeachment to come by reviewing Reconstruction’s goals and articulating the competing objectives of “Northerners” and “Southerners.” And for political or legal neophytes, he reviews both the history and mechanics of the presidential impeachment process. The best features of the book are its preface and its final chapter (intriguingly called “The Rorschach Blot”). Even for an impatient, uninterested reader these fifteen or so pages are a fascinating summary of Johnson’s failed presidency. Best of all is that Stewart takes the time to place Johnson’s regrettable presidency into a broader historical context. Notwithstanding the book’s clear objective, however, I would have preferred less focus on Johnson’s impeachment and more emphasis on his extraordinary rise from poverty to the presidency. Although this would have shifted the book’s center of gravity slightly, Johnson’s fall from grace would seem appropriately more dramatic and unfortunate. In other words, I wish Stewart had chosen to write a comprehensive birth-to-death account of Johnson’s life. This would have afforded him the opportunity to provide more insight into Johnson’s family life, which was largely missing, and a more complete description of his personality. Overall, David Stewart’s review of Andrew Johnson’s presidency and impeachment is as fascinating as it is articulate. Going far beyond simply recounting the facts of Johnson’s impeachment, Stewart’s analysis is excellent and his commentary is skillful. Unfortunately, readers with little knowledge of Johnson will not fully appreciate the incredible story behind his rise to political power, but his fall from grace could hardly be better described or more riveting. I will be curious to see how Johnson’s impeachment proceedings differed from Bill Clinton’s (when I get to Clinton and read that in detail). I found the most interesting person presented in the book to be Thadeus Stevens. He sounded like a true character, maybe a character I’ll add to my follow up list after getting through the presidents (along with Webster, Clay, Calhoun, Sumner and many others…). Also, the book seems to take on more relevance given the current WH resident, and how divisive things seem these days. Thanks again for your reviews and insights. Keep up the great work! Ha, Ha, yes, I am retired & will also be going to Asheville. We have never been to Nashville but Andrew Jackson is bringing us there. Thanks again for your help with my retirement reading project.